Vegetable Garden on the Deck? You Bet! Attaching boards to the supports. 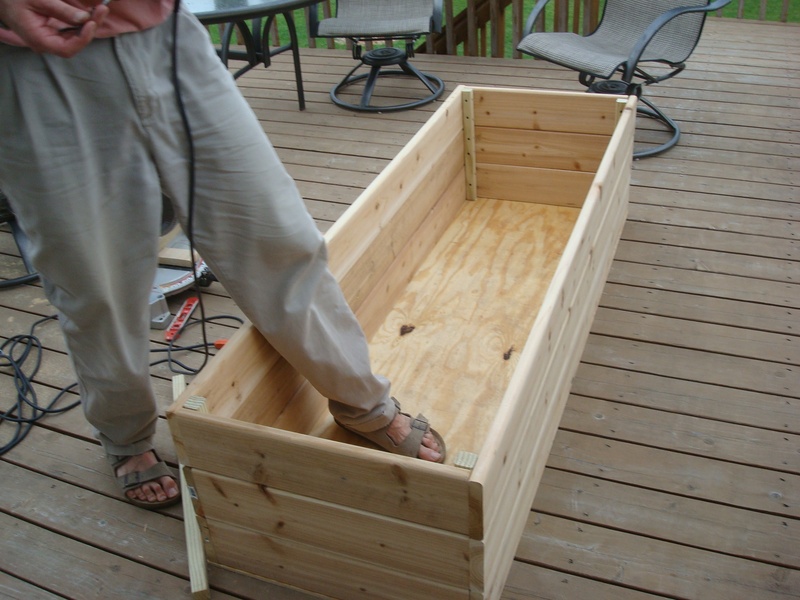 John and Elly wanted a garden large enough to grow a couple of tomatoes, some basil and a few other herbs, so they decided to build a box 6 feet long by 2 feet wide. After buying 1-by-8 cedar boards for the sides, some 2-by-2 lumber for the support pieces and a piece of plywood for the bottom, John (with assistance from my dad) went to work. He cut the lumber to size, then used wood glue to attach the boards on top of the plywood bottom (top photo). 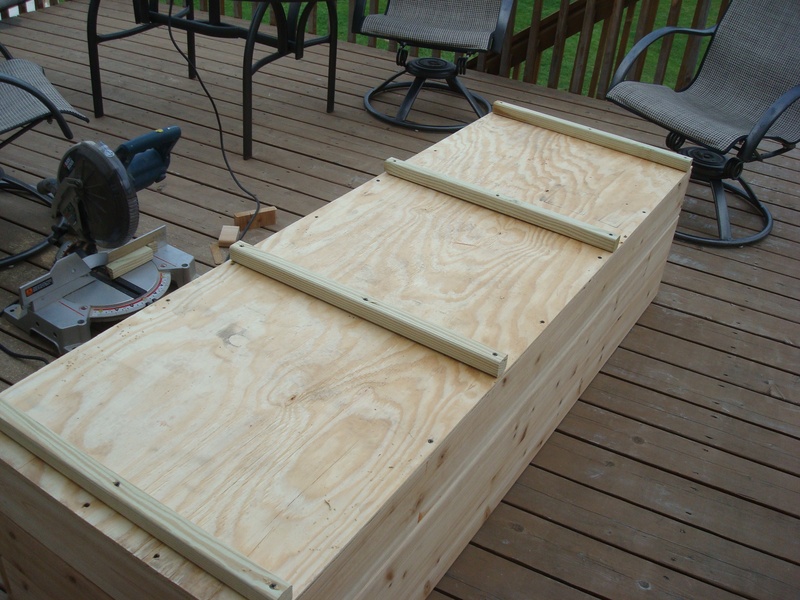 He started building the box, attaching the side pieces to the supports using deck screws. (This is where having two people working makes the job much easier.) He built it one layer at a time, so that the final box is about 22 inches deep. 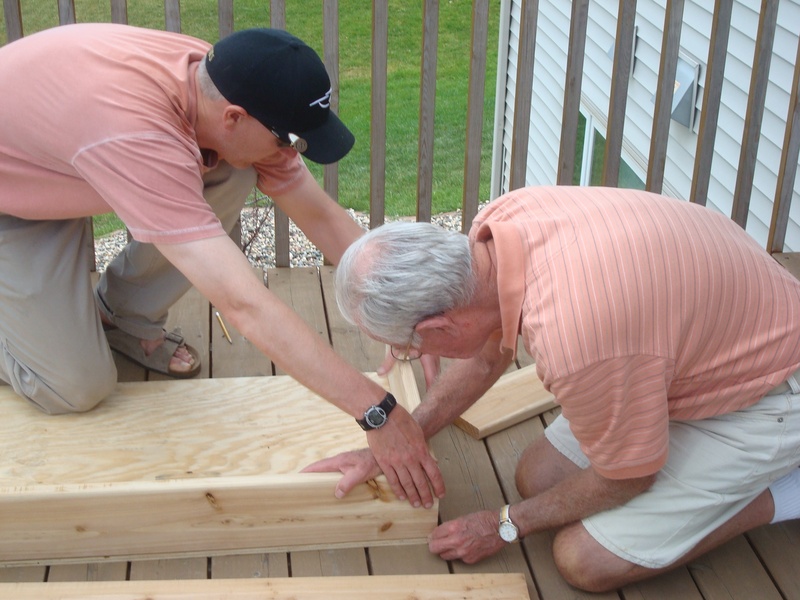 2-by-2s raise the box off the deck. Plenty of room for roots. 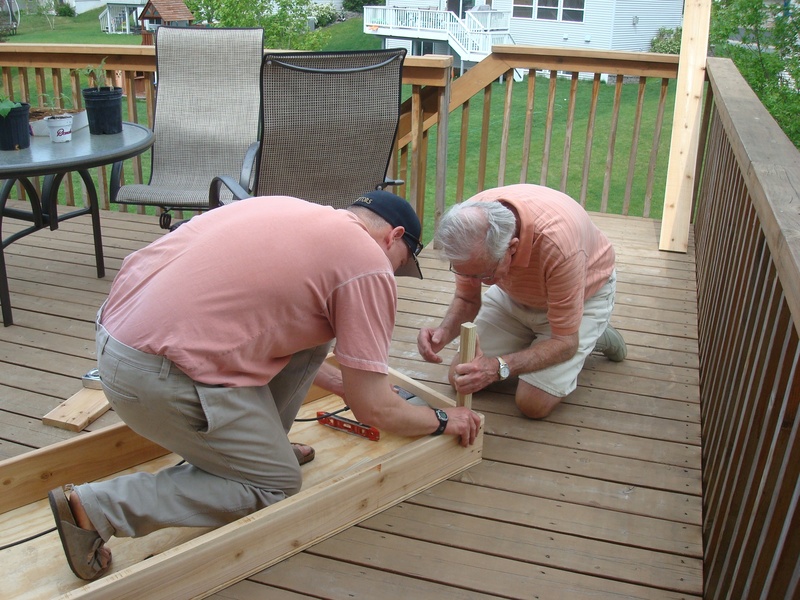 Once the box was complete, John flipped it over and attached four strips of 2-by-2 to the bottom to raise the deck garden off of the deck. It’s not shown in the photo, but he also drilled some drainage holes in the bottom and lined the box with landscape fabric. The fabric helps the bed retain some moisture and the holes make sure it doesn’t retain too much. Nothing beats fresh herbs right outside the kitchen door. With the box ready, John and Elly filled it with a mixture of top soil and compost and planted their tomato and herb starts. The photo at right was taken right after planting, and I’ve since heard that the plants are all doing well and the tomatoes have gotten big and already have blossoms. What a great way to raise vegetables in a small space! Nice deck! 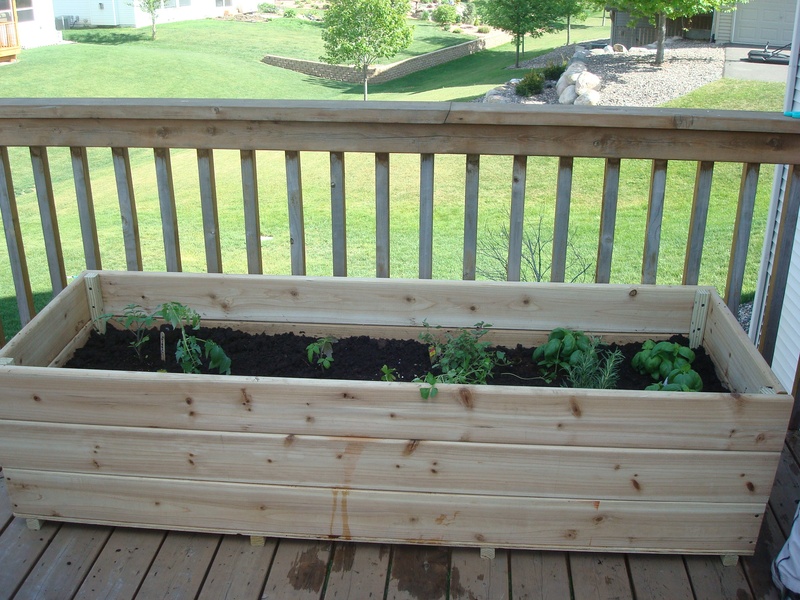 You are going to love growing vegetables, herbs and flowers on your deck. It is so much fun to walk outside in the evening after work and just sit to view the progress of each plant.